The ketubah is the biggest I can make and mail worldwide. It is a beautiful depiction of cherry tree in bloom, against a blazing sunset background. My favorite is the combination of hand-painted gold & soft pink colors. I already had a commission with a custom addition of the couple's initials in beautiful gold script. 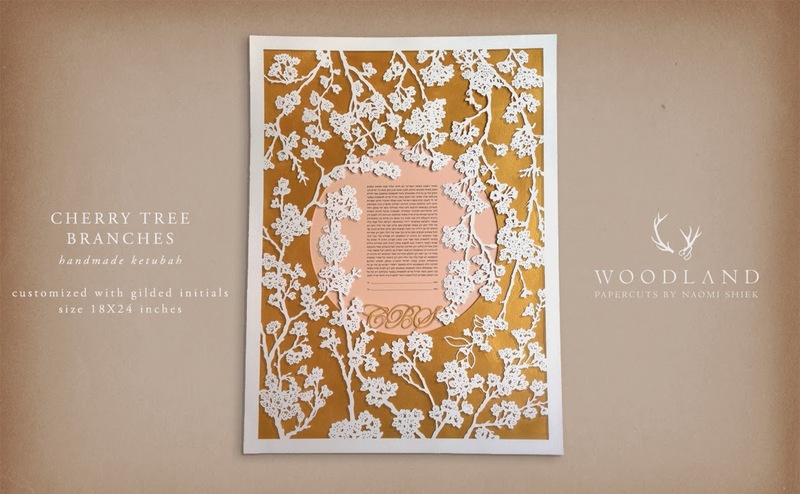 Because of the design, this ketubah is uniquely suited for the orthodox text. 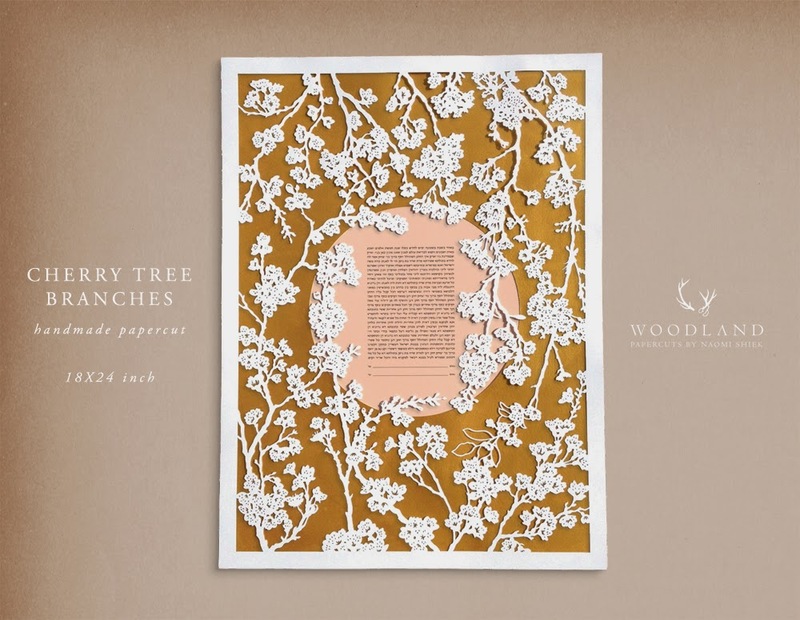 The traditional text will be nestled at the center of the overlapping tree branches. I'm looking forward to make more color versions of this ketubah for future clients!